Royal Killer Found Dead in Chiswick. For a river that was declared dead in the fifties the Thames continues its renewal with yet another species found to be spawning again. The appearance of salmon may have been more to most peoples tastes, but now the lamprey appears to have made a come back with several carcasses found near Strand on the Green. The lamprey tends to die after spawning and this discovery suggests that they are breeding again on our shores. They are a remarkable unpleasant looking fish and the looks are not deceptive because it survives by blood-sucking other fish. This diet does give it a distinctive taste which was much appreciated in the Middle Ages. So much so in the case of Henry I of England that he died of a "surfeit of lampreys". The find was made by Steve Colclough of the Environment Agency during low-tide near Barnes Bridge. He said ""They classically die after they have spawned. The high river flows this year have meant that the Thames is particularly clean, which may explain the sea lamprey's spawning." There are now over 100 species of fish in the Thames Estuary thanks, in part to the work of the Environment Agency. 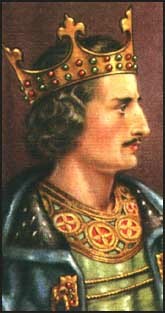 Little is known about Henry I of England apart from the fact that he died of over eating lampreys. Our source for this is "1066 and All That"